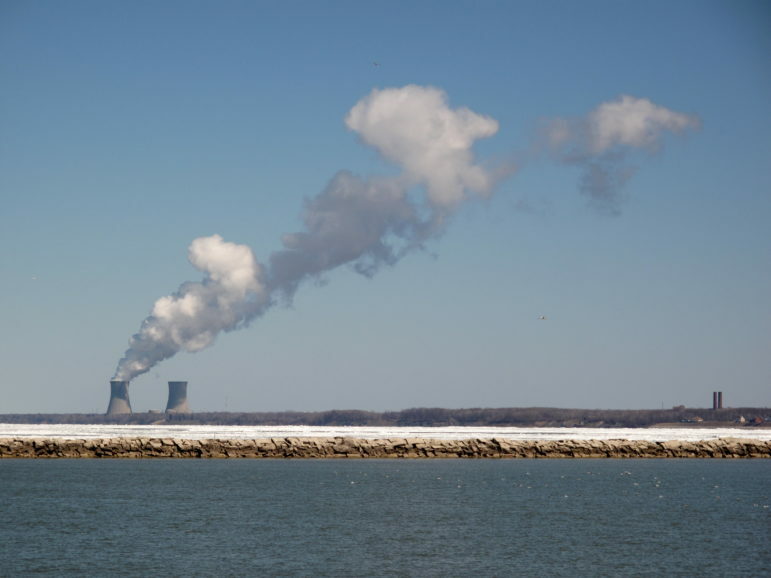 A plan by the Trump administration to rescue uneconomic coal plants has done little to ease the pall of anxiety hanging over two Ohio River counties. Despite the efforts, DP&L has not changed course on plans to close the plants. Ohio University economists are studying how well the plants’ skilled workers can fit into other regional industries. And the Delta Institute, a Chicago-based nonprofit, included Adams County in a new report that describes how difficult it is for coal-dependent communities to develop other economic sectors. What’s happening in the two Ohio River counties, little more than an hour’s drive from booming Cincinnati, illustrates how powerful trends in technology and finance are quickly reshaping American electricity markets, and how difficult it is for coal-dependent communities to respond. In a river valley that gave rise to the term Rust Belt, the closure of big industrial facilities and the civic pain that ensues is nothing new. Still, Adams County has held its own economically, largely due to the river and the two generating stations. The average weekly wage in Adams County – $719 – ranks in the middle of the 16 rural Ohio counties along the river. Like so many people here, Craig Harover, a 46-year-old realtor, was raised in a family supported by the income his father earned at the Stuart plant. His father died in May 1995, six months after an explosion at the plant burned 80 percent of his body. “Those plants are a way of life for almost everybody,” said Harover. “We’ll survive. In my business, we had the best year we’ve had since the recession. The plant announcements have not affected real estate prices. At least not yet. Harover also noted that DP&L owns 5,500 acres of prime shoreline property that includes coal loading stations, coal ash waste ponds, and the two immense power plants. The accord between economic stability and coal that is breaking in Adams County is another of the industrial chapters that has made the Ohio River such a signal influence in the history of the United States. The river was the primary route for settlers to open the Great Lakes region and the West. It served as the safe boundary for escaping slaves. And its heavy shoreline industries helped win world wars and gave rise to unions and a comfortable middle class. Technology, new energy reserves, and collaborations between municipal leaders, business executives, and university administrators are helping to turn the page on the region’s prospects, particularly in cities like Pittsburgh and Cincinnati. But in smaller communities like Adams County, it can be difficult to accept what appears to be an immutable transition. President Trump campaigned on a message to save the coal industry and won 78 percent of the county’s 2016 presidential vote. Ty Pell joined other Ohio County executives at a White House meeting last month with Trump administration officials, including Vice President Mike Pence and a top Energy Department executive who promised to make Energy Secretary Rick Perry available for a second meeting. On Sept. 29, the Department of Energy filed a proposal with the Federal Energy Regulatory Commission for a new “grid resiliency pricing rule” that would require grid operators to establish “just and reasonable rates for wholesale electricity sales.” The proposal, vigorously opposed by natural gas and renewable energy companies, would allow utilities to recover costs and keep big coal-fired power plants operating. Kabel of DP&L said that the proposal did not sway the utility. “The company has not made any changes to its previously announced plans,” she said. In March, Ohio University’s George V. Voinovich School of Leadership and Public Affairs is scheduled to complete an analysis of work skills in Adams and two upriver counties facing coal-sector job losses. The intent is to determine how well people faced with plant closures can compete for other jobs. “There will be some skills-matching in Adams County,” said Jason Jolley, an associate professor of rural economic development, and the study’s lead investigator. Keith Schneider, a nationally known environmental journalist based in northern Michigan, reports on trends in energy, water, food, and climate from six continents.